If you follow along, you might remember my undying love for White Fence. 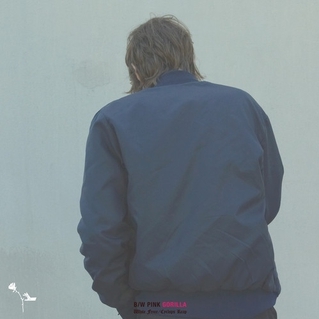 The project of Tim Presley, White Fence lives in another decade. I know that’s why I’m drawn to it. Presley captures everything San Francisco music has ever done. His music is trippy, colorful and soaked in dirty-patched signals. It’s single note guitar solos, it’s backwards and it’s laced with friendly vibes. Last year we saw Family Perfume Vol. 1 and Family Perfume Vol. 2 – both out on San Francisco label, WOODSIST. The two records are a collection of 29 songs of pure psychedelia. It’s folk rock with the best mixture of looped, serene sunshine. Last year, we also got the great gift of a White Fence/Ty Segall release, Hair, out on Drag City. And due out April 9th – tomorrow! – Presley is back with another White Fence release. On San Francisco label Castle Face, Cyclops Reap, is a charming dip into rock music’s past. Strangely, I am one of few people in my community of music friends who listens to White Fence. It might be because I’m a San Francisco nerd (duh! – it’s the best city ever, or just my favorite.) Or because I love psychedelic rock. Maybe it’s the distance of 3,000 miles that keeps White Fence so far away. Or the strange that lives inside his records. White Fence is hard to find on our eastern shores. And I want to help change that. Listen to this band! You can hear the single from his upcoming release, “Pink Gorilla” here. You can find information about them, sparingly, on the internet. Which, I think, makes the music and the man all the more special. We are used to direct contact with the musicians we love. And the sparse presence Presley has maintained creates a sort of romantic mystery. But if you do look hard enough, you can find brief interviews with him. His White Fence blog is slim, but lately he’s been popping up on national music sites. The Fork has been (briefly) hyping Cyclops Reap and just last month SPIN covered his “homespun” sound. Presley has been ready for action since day one. He’s ready for you. Spring time is everywhere and psychedelia is the perfect soundtrack. It’s time to open up your imagination for White Fence. Just want to state your report can be as astonishing. Your clearness in your submit can be simply nice and i can think you’re a pro about this subject matter. Fine together with your approval allow me to get your own RSS feed to help keep updated together with forthcoming article. Thank you millions of and you should carry on your enjoyable do the job.